Professionally printed, personalised to your family Coat of Arms. Each one a unique gift for the man of the home. Why not order one for your mates. 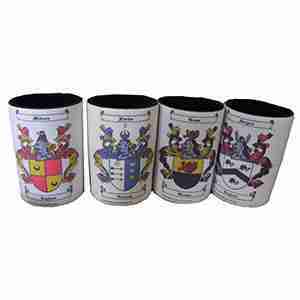 Make every get-together a heraldic occasion! Discounts apply for orders of 6 or more. Call 1800 809 963 for more information or to organise your bulk discount. Multiple coolers can be different names.